Contact us to start using SalonTarget® today! Try SalonTarget® risk free for 7 days. Our robust salon software has a pricing plan to match every salons needs. Please contact us to discuss your particular needs and we would be more than happy to find a plan that works the best for you. Please contact us to inquire about our annual pricing. Whether you’re currently using salon software and are ready for an upgrade or haven’t yet found a system worth trying, look no further. SalonTarget is a multifunctional program that allows you to manage your current clients, run email marketing campaigns, attract new clients and send updates and reminders regarding appointments and promotions. The software was designed by salon owners who understand the growing needs of the industry, and was designed to make your business run more smoothly. 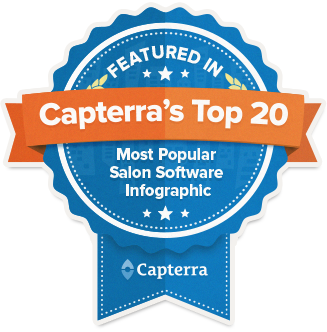 Our award-winning salon software is an efficient, easy-to-use way to handle the ever-growing demands of your salon. Whether you need the service for basic uses, such as billing and communications, or advanced functions, like lost client resurrection or managing stylist portfolios, SalonTarget has everything you need to run your salon effectively. As a businessperson, you know it never hurts to try something before you buy it. That’s why SalonTarget offers a seven-day salon software free trial. Get started by entering your information and testing the many functions of the free salon software. During your SalonTarget free trial, you’ll begin to notice the numerous ways that the program sets itself apart from competitors. Not only does SalonTarget offer basic features that are comparable to other popular salon software programs on the market, but the program offers tools to help your business grow, such as client referrals igniter, ad retargeting to website visitors, client-specific email marketing, a client reviews generator and so much more. While undergoing the trial during your free salon appointment software download, you’ll be prompted to enter some information about your salon. Immerse yourself in the program by inputting data about your salon, your clients and stylists into the system. Access the program’s advanced features like booking reminders and email marketing tools to reap the most benefits during your trial period. After the seven days have concluded, if you decide to purchase SalonTarget to use more regularly, all of the data you’ve entered into the program will be stored and ready to use. You won’t have to re-enter any information or make changes to a new account, as everything will already be completed for you. 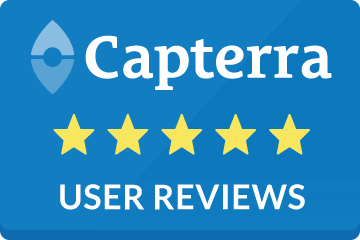 When utilized correctly, SalonTarget can help users receive a 400% return on investment, meaning your money was well spent and your customers will be more satisfied than ever. SalonTarget offers more than a way for salon owners and managers to make the most of their resources, it offers a more seamless experience for salon customers, too. Get the most of your salon ownership or managerial experience by getting started with SalonTarget today. Whether you’re ready to purchase the program or you’re interested in beginning your seven-day free trial, you’ll be taking one huge step in the right direction.